Finally! Summertime is here and the sun’s getting hotter. Throughout the nation, temperatures are on the rise. However, did you know that the annual mean air temperature in cities can be 1.8 to 5.4°F warmer than its rural surroundings? According to the United States Environmental Protection Agency, this difference can be as drastic as 22°F in the evening. This anomaly, referred to as the heat island effect, is a result of the dry, urban surfaces, including pavement, rooftops, and other infrastructure, that replaces the natural landscape and vegetation as cities are developed. However, there is a solution that can help offset this heat island effect. Cool roofs are being developed with both a high solar reflectance, or albedo, and a high thermal emittance. Together, these characteristics allow the surface to absorb less heat, keeping the roof up to 60°F cooler than traditional roofing materials. These roofs assist in reducing energy costs, air pollution, and greenhouse gas emissions, while increasing human health and comfort due to decreased air temperatures. While cool roof products have been developing over the last twenty years, Kafka Granite’s White Roof Aggregates are suitable for both new and preexisting roof tops! Kafka Granite specially produces both Crystal White Quartz and Recycled Porcelain aggregates and manufactured sands in a variety of sizes suitable for use in several application techniques of white roof coating. 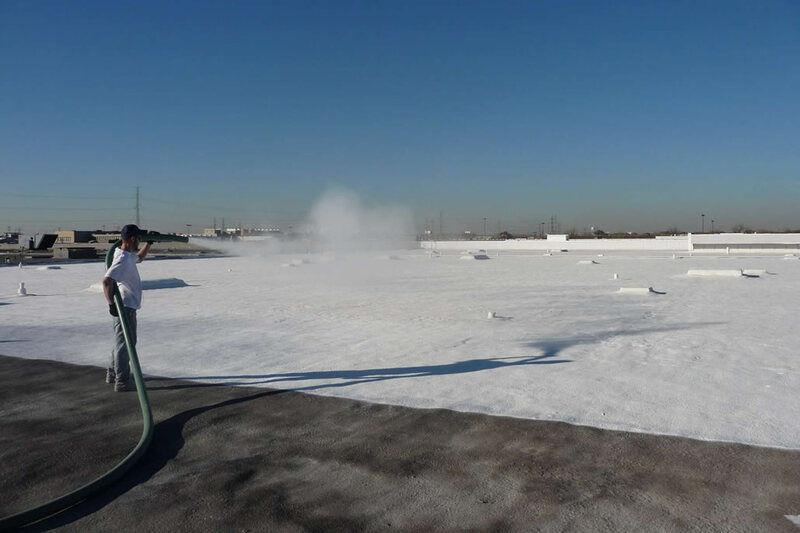 Kafka Granite’s White Roof Aggregates can be quickly and easily applied to any preexisting rooftop using a two-part epoxy. While our Crystal White Quartz is a brighter white, our Recycled Porcelain can help increase the LEED points earned on your project. Do you want to reduce energy costs, air pollution, and greenhouse gas emissions in your metropolitan area? Kafka Granite aggregates can help! Contact one of our knowledgable sales representatives to receive more information or to request complimentary samples.